My name is Chas Desjarlais and I am a Nêhiyaw/Metis educator and scholar working for the Vancouver School Board as the Indigenous Education District Vice Principal. I am a member of Cold Lake First Nations and a Treaty Six First Nation; and doctoral candidate in the Department of Educational Studies pursuing a doctorate in Educational Leadership and Policy. I am grateful to be given the opportunity to be an educational leader and take great care in ensuring that I share the ‘gifts’ I have received from the Creator with those I get to work with. Who I am and where I come from greatly influence my leadership and how I engage and interact with administrators, educators and students. Living and leading, walking the path of ‘miyo-pimatisiwin’ (living the good life) as a Nehiyaw/Metis iskwew is my sole purpose is to pass those teachings onto my two daughters, Paige and Kaylyn. I am member of the Musqueam Nation and my my traditional name is Klaw-law-welth. I share this name with my late grandmother, Gertrude Guerin. I am honoured to work as the Indigenous Education Cultural Coordinator with the Vancouver Board of Education. I assist with our Indigenous Education Team cultural programming and events for Indigenous and non-Indigenous students and staff in our District. My position as Indigenous Education Cultural Coordinator, I have the privilege in working closely with my colleagues to share and teach the diversity of Indigenous cultures, history and teachings in the schools for students and staff to experience and learn. We are a group of teens from across Metro Vancouver coming together to demand action on climate crisis. We are part of the international #fridaysforfuture #climatestrike movement. We strike from school one friday a month to set an example of urgency which we demand to see followed by all levels of government. 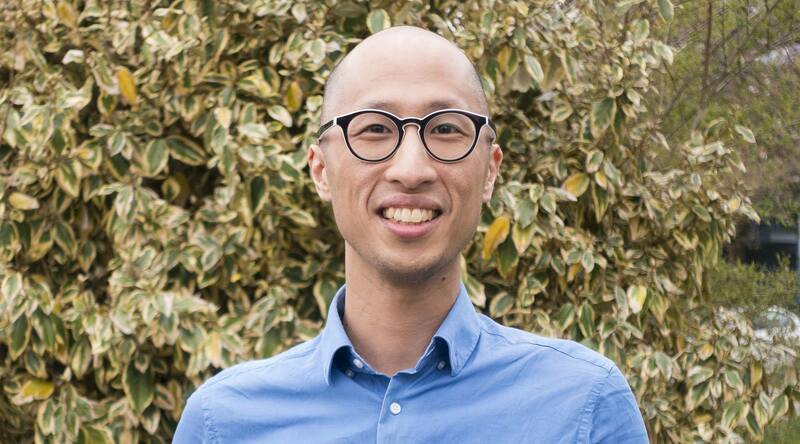 Ryan Cho teaches Social Justice 12 at Terry Fox Secondary School in Port Coquitlam, BC and is one of the co-sponsors of the Terry Fox Alliance. He sits on the BCTF Anti- Racism advisory committee and has done curriculum development for the CCPA's Climate Justice Project (www.teachclimatejustice.ca) and the documentary film "Fractured Land" exploring the impact of colonialism and of indigenous perspectives on resource development in BC. He is also responsible for the latest re-write of the BCTF’s Show Racism the Red Card Curriculum Resource and is the winner of this year’s BC Premier’s Award for Excellence in Education (social equity). Originally from Victoria, he’s lived in the lower mainland for 10 years, and spends most of his non work time making music and doing capoeira. More fun than your usual mish mash of brass instruments, drums and glitter, The Carnival Band has been livening up Vancouver parades, street parties and protests since 1997. This community project is open to anyone and uses brass instruments, percussion, dance, and goofy costumes to bring people together. The band plays original compositions as well as New Orleans brass music, brass house, latin dance music and Balkan folk. They can been seen practicing every Monday night at the Britannia Community Centre and at gigs ranging from small community celebrations to big events like the upcoming Skookum Festival. Bring your instruments, your egg shakers, your tutus and your dancing shoes and come join the band! Angelica Poversky is a spoken word poet, media and performing artist as well as a arts programmer residing in Vancouver, British Columbia. Her work deals with themes such as memory, identity and imagination. Angelica is Vancouver’s Top 24 under 24, a TD Scholar, Richmond’s 30 under 30 and a Richmond Arts Award Winner. Her performance poetry has propelled her to perform at the 2017 UN Peacekeeping Defense Ministerial, National Culture Days and The Top 25 under 25 Canadian Environmentalists Awards, CHIMO Voices against Violence Against Women Conference and over many other events and festivals. Other notable performances include Word Vancouver, The Vancouver Sustainability Conference and The Vancouver Earth Day Parade.